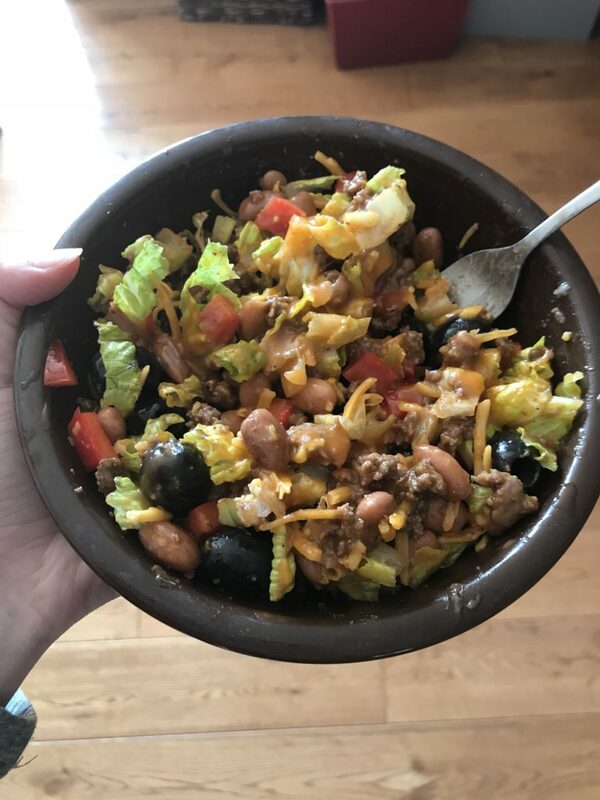 Taco salads are one of those versatile meals. Is it lunch? It it dinner? Is it supper? Yes, it's all of the above. Brown ground beef, and add taco seasoning. 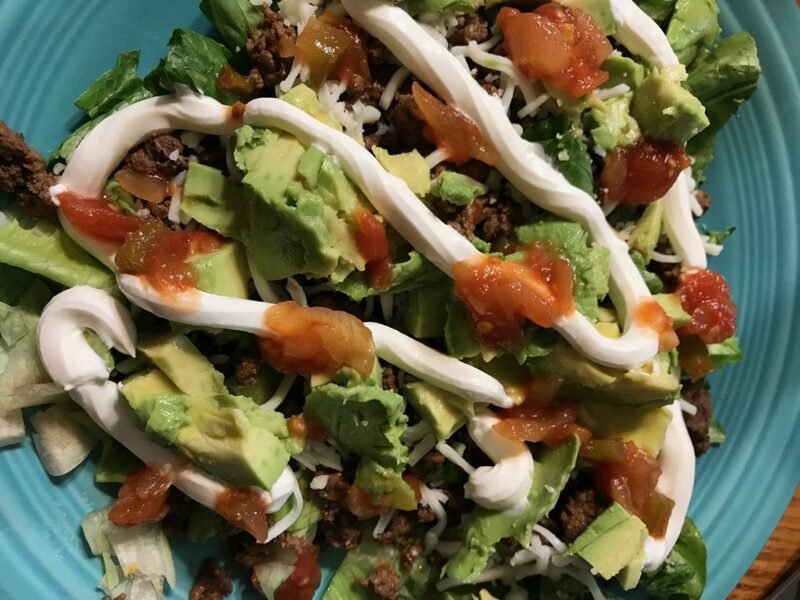 Add a variety of your favorite toppings and enjoy! Alterations: try with chopped, cooked chicken and lime juice for a twist. Shake and store in a sealed jar or other container.